Who does not dream about a country, almost untouched by man, in the middle of nature, made of endless pastures, numerous offbeat hiking trails, unbelievably beautiful waterfalls and hot springs…? A country with incredible nature spectacles such as volcanoes, geysers and at night, if you're lucky, wonderful Northern lights. Yes, a country where you can rest and relax but also experience fantastic adventures. And what if we told you that this dream could become true? Book your next trip to Iceland. Unforgettable moments await you there. Travel to Iceland and stay in charming boutique hotels, wonderful resorts or pure luxury hotels in Reykjavik . Whatever your reasons to travel to Iceland, be it a romantic getaway, a cultural tour, or the thrill of staying at a small guesthouse, Secretplaces will help you find the perfect spot for you. 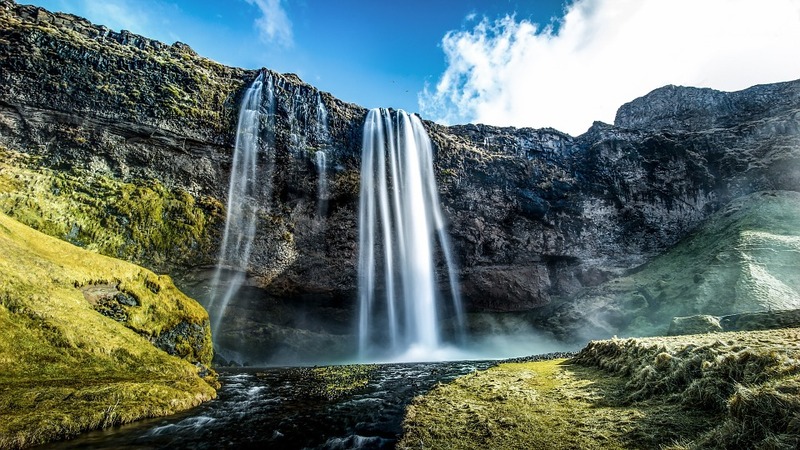 There are plenty of things to do in Iceland: hike a glacier in the beautiful south of the country or take a bath in one of the numerous natural pools. Don't forget to bring your swim clothes! Iceland even breaks the record of natural baths per capita! The Blue Lagoon comes with 38°C hot water and is one of the spots you should not miss. It's simply perfect to relax after an extended hike. But that’s not all! Many of our hand-picked hotels will also delight you with an outdoor jacuzzi! And if that was not enough, the island also has an amazing flora and fauna. It's a land full of wild horses, seals, reindeers and birds, protected from an environment that is not altered by man. On your trip to Iceland, you should also definitely visit Europe's longest ice tunnel and the Detifoss, a huge waterfall of stunning beauty. Without forgetting glacier tours or volcanoes climbing which are some other amazing experiences you should not miss. It's because of them that the island is called the land of fire and ice. Iceland will also for sur blow your mind and eyes. You'll find great nature and wildlife to watch there. You can ride Icelandic horses and do whale-watching. In one word: you’ll only make memories that are hard to forget. Reykjavik is a great city that offers Nordic old town flair, unique boutiques and colourful facades. At night, the city starts to truly shine. Start the evening in one of the many exceptional bars and let yourself immerse into the city's amazing night life. The city is full of incredible dances, parties, concerts and way, way more. Iceland´s cuisine should definitely figure on your bucket list The traditional dishes are simply delicious and should not be missed! The fish, in particular, always fresh, is from local origin and is the main ingredient of various delightful recipes. Grilled, smoked or boiled, the cooks are not lacking of imagination when preparing the different dishes. Some of the most beloved ones are the Atlantic cod, the haddock and Iceland´s famous stock fish. But crabs, wild salmon and rose fish are also to be found on the menus of the taverns. Concerning meat, it is already becoming a bit more exotic. Besides from eating chicken, calf and pork, some more adventurous restaurants even offer Atlantic puffin as well as foal. And all of this without forgetting all the amazing deserts Iceland has to offer. A myriad of sweet delights await you here. Be it Icelandic pancakes (pönnukökur), tasty cream pies or traditionally baked pastries, also named “kleinur”, you will for sure find something to delight your stomach. You got it, Icelandic cuisine is just as varied as its natural landscapes. But there is one thing we can guarantee you: you will always be full. If one thing keeps coming up when talking about Icelandic food, it is that they eat A LOT. Close your eyes and imagine: just you, the mountains, valleys or the sea. Escape daily routine and enjoy the magic of nature in one of our secluded getaways set in amazing surroundings.